As you can guess, I already own The Imagineering Field Guide to the Magic Kingdom, The Imagineering Field Guide to EPCOT, and The Imagineering Field Guide to Disney's Animal Kingdom at Walt Disney World, so I was quite glad to receive The Imagineering Field Guide to Disneyland yesterday. 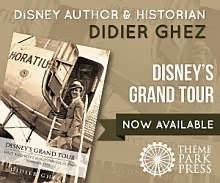 That volume has all the flaws and strengths of its predecessors: the stories it contains are way too short for Disney historians but are also a great springboard for new Disney enthusiasts, giving them the basis to move later to more serious books like The Nickel Tour. This being said, when it comes to the newest attractions the series always contains a few stories that we had never heard. 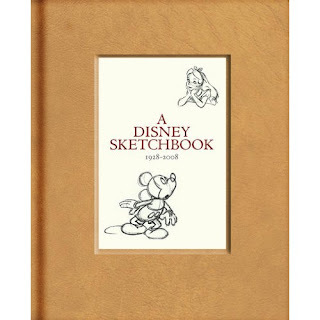 The same can be said about the artwork: since the books are way, way smaller than art books (after all they are pocket books that are meant to be used during a trip to the parks) the artwork's format is way too small and you are better off getting books like The Art of Disneyland or the upcoming Art of Walt Disney World. But the authors seem to know this and offer us in each volume enough never-seen-before renderings to make the books interesting. In summary: Great books for beginners, a few gems for historians. Hake's newest auction opened yesterday. 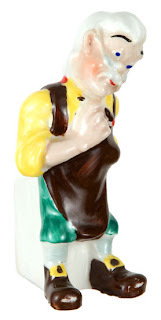 As ever, there are a few nice surprises like those three toothbrush holders by the English S. Maw & Sons. 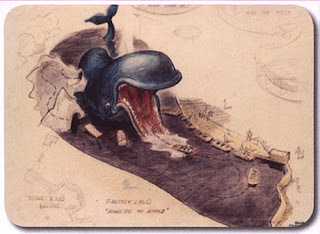 [I'm back again with more Disney Studio Documents that came from the collections of Directors, Animators and Publicity Director William Hosey. I am listing just a few tonight but will do more as the week goes on. What you are looking at is the cover and several interior pages of Dalton S. Reymond's story treatment for Joel Chandler Harris' "UNCLE REMUS" stories that eventually became "SONG OF THE SOUTH"! The entire document consists of 63 pages plus the cover and the back cover. I have scanned the dated title page (May 15, 1944), the first and third pages of the story treatment and the first page of the story outline. If you have a decent computer monitor you should be able to read the pages in the pictures. I reproduced them in a larger format then the cover and first page in the hope that they could be read. Mark Sonntag who sent me the link said "I would if I could. I'd love to read this." Believe me, I agree with that statement. 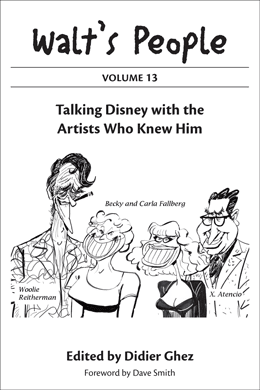 I had the pleasure of receiving yesterday Don Hahn's new book The Alchemy of Animation: Making an Animated Film in the Modern Age. 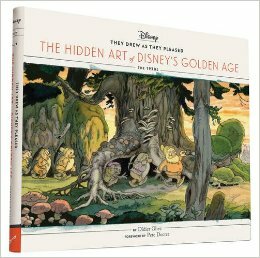 This book is clearly a very good surprise: it is very readable (Don Hanh's previous book was too), longer and much better illustrated than Hahn's Disney's Animation Magic. 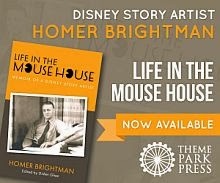 Is this a Disney-historian dream? Frankly it isn't and it isn't meant to be. It is clearly a book aimed at a very general audience. And that goal is reached, with honors. 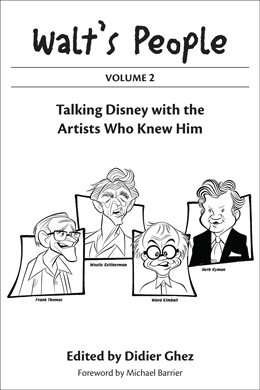 In fact, I believe this book is doing exactly what The Art of Animation by Bob Thomas did in its time: it creates a nice window in the life of current Disney artists and on the world of Disney animation. 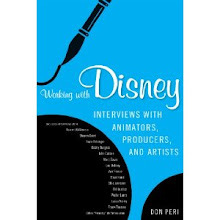 If I were a kid today, this book would definitely get me excited and make me want to become an animator (if I had any talent that is!) Everything is clearly explained and the book does not talk down to its audience in any way. 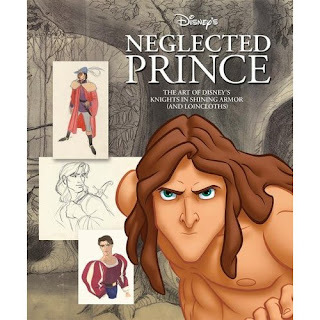 Conclusion: Not a revolution in terms of Disney history, but wonderful book for your kids and great book for Disney enthusiasts thanks to the artwork selection. 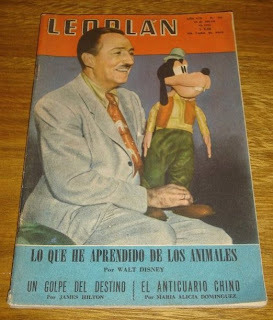 Interesting magazine cover from Argentina found yesterday on ebay. 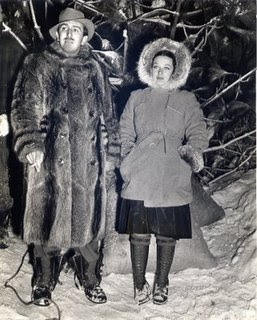 One more interesting article from the '30s thanks to Gunnar Andreassen. 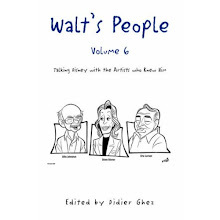 I have just sent the manuscript of Walt's People - Volume 8 to all the contributors to get their comments and corrections. This means that we should be about 5 months from publication. Fun article from the '30s thanks to Gunnar again. 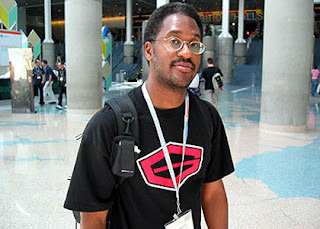 Animation writer and critic Emru Townsend who had been diagnosed last December with leukemia passed away yesterday evening at the age of 38. Emru had founded the Frames Per Second Magazine in 1991 and had been a penpal of mine since the launch of Walt's People 4 years ago. Amid Amidi said about him in February this year: "Emru has for decades been one of animation’s best friends and most intelligent critics." Let me add that Emru was really an astounding human being. When he was diagnosed with leukemia, he and his sister Tamu started a worldwide campaign to promote bone marrow donations. This campaign was amazingly successful and generated unbelievable amount of TV and press coverage. Emru until his last few days also maintained a mailing list that kept us all informed about what he was going through. Every single one of those emails (including the one where he announced that he would soon die) were full of an infecting sense of humour. I have never - and I mean never - seen anyone stay so positive and full of life right at the gates of heaven. He is someone who in my eyes will clearly never die. 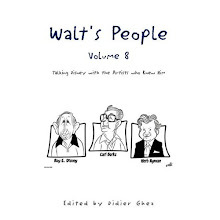 The upcoming Walt's People - Volume 8 is dedicated to him. This article from 1937, which I just received from Gunnar Andreassen, is often quoted. I thought you might enjoy it. I must admit that I had a lot of fun with the three illustrations. 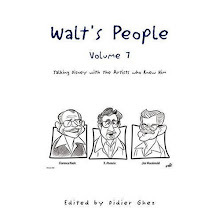 For those of you who would like to get signed copies of Walt's People - Volume 6, I have two copies available that I could sell directly. [My name is Julie Thomas. I've been loving your blog and your book series for months now. I'm a Carolwood Pacific Historical Society Member and wonder if you could do us a favor. This is definitely an event I would love to attend. 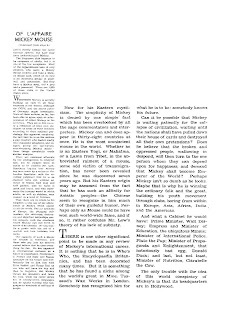 Gunnar Andreassen has kindly sent me various articles from the '30s from the New York Times. 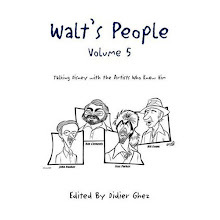 I will post a few of them during the next few days for your enjoyment.The first one is an interview of Walt conducted by artist S. J. Woolf. [One of America's greatest twentieth century portraitists, Samuel Johnson Woolf was equally accomplished as a painter, lithographer and illustrator. He studied art in New York at both the Art Students League and at the National Academy of Design, under Cox and Brush. Early in the twentieth century he established himself as a great portrait painter and his work was frequently exhibited at such major institutions as the Metropolitan Museum of Art, the New York Public Library, the University of Michigan, the Carnegie Institute, the Corcoran Gallery, the Pennsylvania Academy of Fine Arts and the National Academy of Design. I have a few problems on my PC that prevent me from updating the blog properly today. More on Monday. 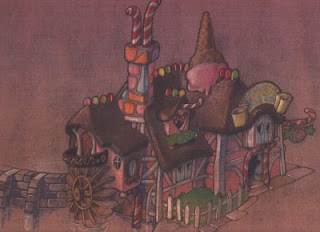 [I have a question for you: Do you know of any color photos of the Hyperion Studio ? 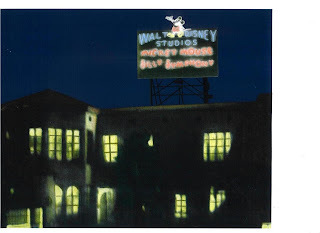 I have never seen any of the studio buildings, except one of the neon sign. 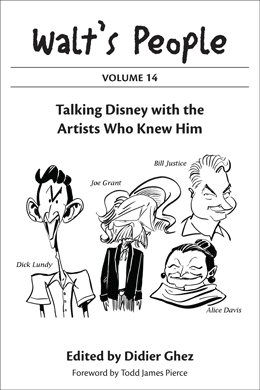 I had the pleasure of receiving a few days ago an email from composer John Debney, son of the late Disney artist Lou Debney. John is trying to gather as much information about his father's career as possible. Would anyone of you be able and willing to help? 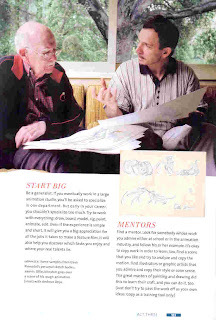 [Lou Debney virtually spent his whole life working at Disney. Born on January 3, 1916, he joined the Studio in 1934 at the age of 17. 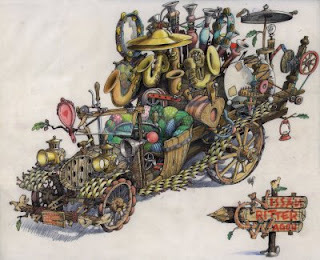 His career started in the Cutting Department, but soon became assistant director on Snow White and the Seven Dwarfs, working on most of the sequences directed by Ben Sharpsteen. 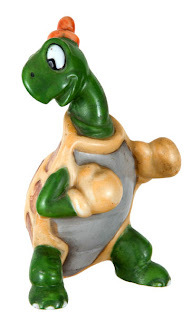 From 1939 to 1943, he teamed up with with Jack Kinney working on all of the Goofy shorts released during that period, and later tackled projects like Peter Pan and Perri. His claim to fame, however, comes from his key roles on the Mickey Mouse Club and Zorro, as he acted as producer of about 100 episodes of the first series and virtually all episodes of the second. 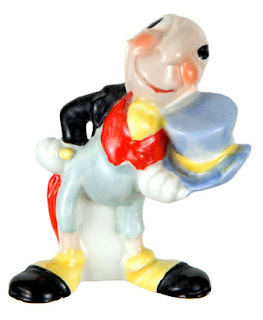 In the ‘60s he became production coordinator on The Wonderful World of Color and seems to have remained active at the Studio till his death on April 8, 1986. 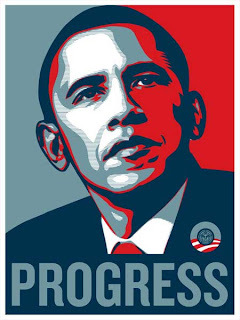 I really liked the Carousel of Progress/Carl Bongirno history and the american election posts. Let´s hope we can have a world a little better from now. 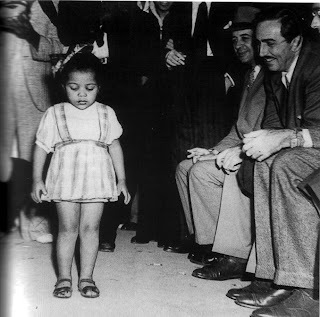 I would like to share with you a really nice picture of Walt Disney visiting Portela Samba School in Rio de Janeiro (1941). You know the original plan was to Walt visit Portela to see the Samba dancing presentation for only a few moments but he liked so much that spent hours there. As you know the Brazilian government at that time didn´t like the idea to show the so called "african inspired" samba to the Disney crew. In the end this was one of the highlights for the touring group. This picture shows Walt watching a little girl dancing Samba. It is being pre-sold on the following web site. 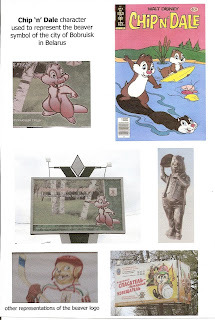 Carlene Thie from Ape Pen Publishing has a lot of articles related to Wally Boag for sale. 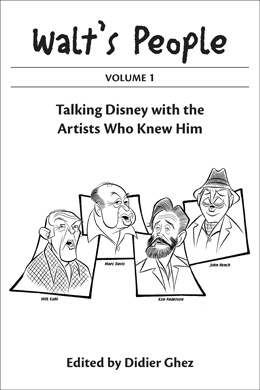 Finally, please do let me know if you are aware of other independently published books about Disney that you may be aware of. Just one last off-topic note to thank the US readers of this blog for choosing the right candidate yesterday, for giving us hope again, for putting an end to an 8-year nightmare and for allowing us all foreigners to recognize again the country we love so much. I had the pleasure of interviewing Gene Sands recently, one of the co-authors of the upcoming book about Wally Boag, which, simply put, sounds fascinating. Didier Ghez: Who are the authors of the book? 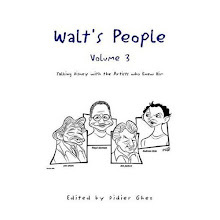 Gene Sands: I co-authored the book with Wally. DG: When will it be released? GS: It will likely be released after the first of the year. And, we'll formally announce that as the date grows nearer. DG: How did you get involved in the project? GS: Wally and I are long time friends. I met him in 1957 when I was a 13 year old working at Disneyland selling balloons and like a lot of people was entranced with him and his act. I started hanging out at his dressing room and over time, he would give me gags that I used in school assemblies. He paid me to haul his follow-spot light and props around to the various gigs he booked outside of Disneyland and in 1961 I appeared in "Vaudeville Re-Visited." After college, I began a 20 year career as an Air Force officer. All during that time we stayed in touch and I would go visit with him and Ellen for a few days every year. 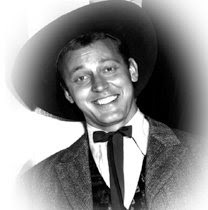 During those visits they told me all these wonderful stories about where they’d been and what they’ done and realized that many people didn’t know about Wally’s career before he did The Golden Horseshoe Revue. In 2001 we decided to shoot some videotape of him talking about his life and career so his heirs would know what he had done. When we looked at the tape, we saw the potential for a book . We talked about doing it for a year or so and then began writing it. It was a fascinating process for the both of us. 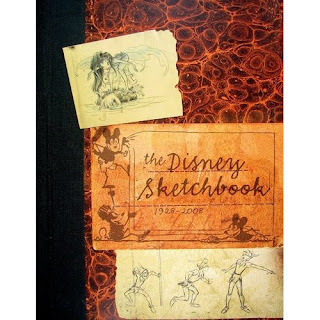 When we started going through all his scrap books and photos (plus photos in the Disney archives), it was even more evident that his life would make for some very interesting reading. 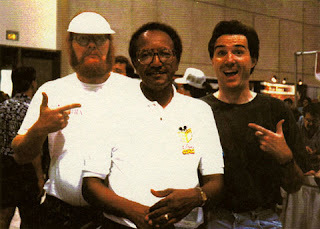 We discussed this off and on with Marty Sklar and at one point we said needed someone to do the design work on the book. 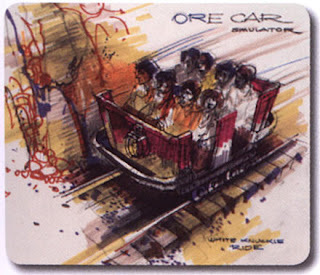 He suggested Imagineer Bruce Gordon. We called Bruce and he was interested so we were off. We had three goals for the book. 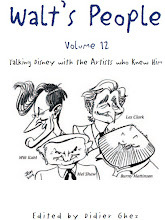 It had to be an accurate account of Wally's career, it had to be interesting, and it had to be fun (any book about Wally would have to include whimsy). When we were kicking around various names for the book, Bruce said that Richard Sherman had a real talent for coming up with book titles and suggested we consult with him. 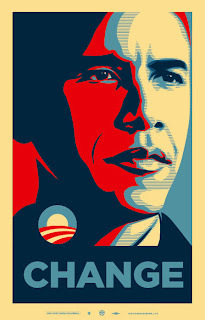 We did, and, true to his reputation, he came up with our title. 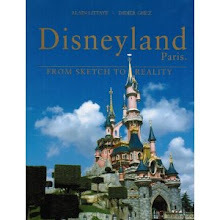 GS: The chapters are: “Growing Up: “Going on the Road”; “Disneyland” and “After Disneyland”. DG: Is it heavily illustrated and how long is it? GS: It's about 180 pages and yes, it's heavily illustrated. Each page contains a number of photographs or design elements and Bruce did a wonderful job of pulling it all together. DG: What were the main discoveries you made while writting this book? GS: We weren’t sure how much material we would actually be able to find to put together for the book. But, once we got started, we found that there was both ample material and photography available. Every time Wally looked at a news clip, photo, etc. it suggested a story. And, every time he recounted a story, he remembered 2 or 3 more stories. It was like peeling an onion because there were layers upon layers of stories depicting his career. However, we couldn’t have done all of this without his wife, Ellen’s, assistance. She remembered all the details of when, where, how and why. 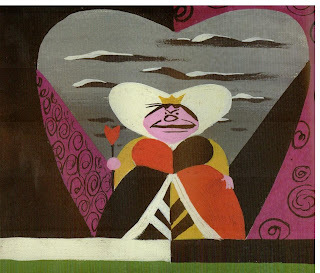 Plus, she was such a major figure in the story that this was her story as well. 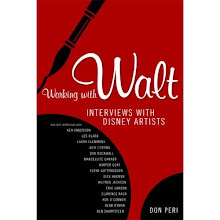 While writing the book, it became clear that not only were we talking about Wally's career, we were also talking about Disneyland's early days. 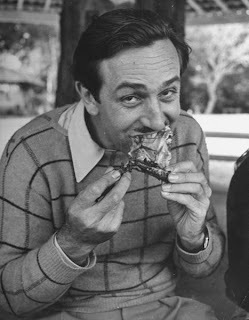 Since he was there from the first day, he had a treasure trove of memories about the Park, Walt, opening day, and, of course, The Golden Horseshoe Revue (to name only a few). One of the things readers will find interesting is Wally's career before he came to The Horseshoe. At 34, he was already a seasoned performer having played all the major hotels and clubs in this country, plus those in England, Scotland, South America and Australia. Plus he had appeared in a Command Performance before the King and Queen of England (as he says, “I can still remember the command…it was Stop!”). 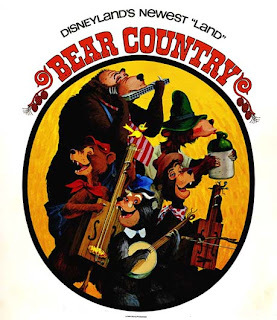 When he auditioned for Walt in late June of 1955, he was bringing all this talent and experience together in an act that Walt knew instantly was perfect for The Golden Horseshoe Revue. - Wally as a young boy growing up in Portland, OR. - Wally and his early dance partners when he was around 8. - Wally and his Wallce Boag School of Dance when he was 16. - Early days when Wally first went on the road. One of performers he worked with taught him how to make balloon animal. - In New York in the early 1940's appearing in night clubs like the Blue Angel and at Radio City Music Hall. This is where he met Ellen and they were married. - On tour in England, Scotland, France, South America and Australia. - The first performance of The Golden Horseshoe Revue Hosting ABC's daily radio show "Your Happy Holiday" which emanated from Disneyland. Working with Betty Taylor, Fulton Burley and the boys in the band. - On tour for Disney promoting new Disney movies. 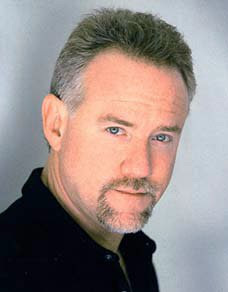 - Motion picture roles and television appearances. - Editing Disneyland's cast magazine "Backstage Disneyland". - Filming "The 10,000th Show of The Golden Horseshoe Revue" for Walt's weekly television program. - Voicing Jose' in The Tiki Room. My sincere apologies for this off-topic post. I will redeem myself tomorrow by sharing some exciting info about the upcoming Wally Boag book. For now, I would just like to ask all US readers of this blog to go and vote tomorrow if you have not already done so. Who I would vote for if I were a US citizen is pretty obvious from the illustration of this post, but regardless of whether you support Obama or not, please, please go and vote. This election is way too important for the fate of the world at large to ignore. But you all already know that, of course. Our Restoration Management division is unique in the imaging community, offering you the finest hands-on supervision with the advantage of a "virtual laboratory" with access to a multitude of specialty service providers. PRO-TEK Restoration Management was founded in 2003 to provide all branches of the moving picture industry with the talent and expertise to assist the process of managing the restoration and preservation of library product. Overseeing this new service is Scott MacQueen, a well-known authority and practitioner in the field of picture and sound restoration. His technical experience, historical expertise and aesthetic judgment offer the client a collaborative hand in making informed decisions with regard to element evaluation, photographic and digital picture solutions, audio restoration and reconstruction, and the video mastering of assets for new markets. This management service operates as a "virtual laboratory", providing you access to a large pool of skilled facilities and specialty vendors in the media community, while retaining overall project management.